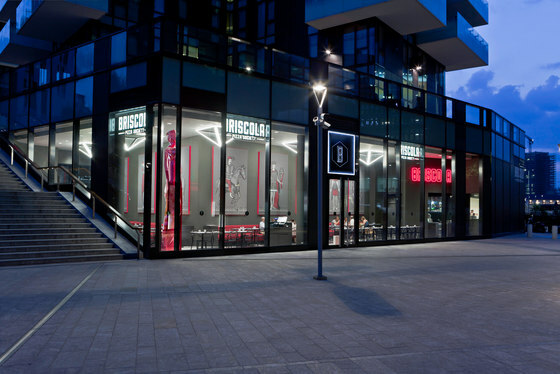 Architect Fabio Novembre chosen by Foodation, holding company operating in the multi-brand food retail sector, to develop new outlets in the Briscola-Pizza Society restaurant chain. 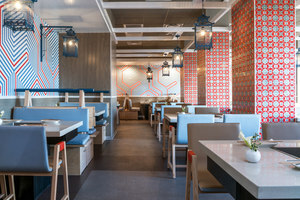 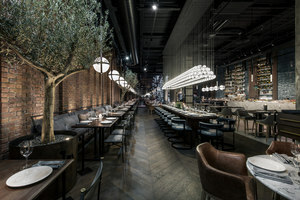 The holding company, in ongoing expansion, partly thanks to the acquisition of a 53% interest by Francesco Trapani, former Bulgari CEO and shareholder, aims to make the Briscola format become the first Italian-made restaurant chain in Italy and abroad. 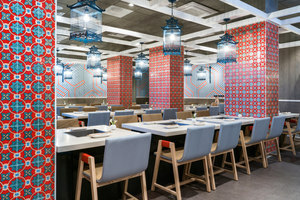 In addition to the new outlets project in the Duomo and Porta Nuova areas, will be the restyling of those already in operation, also under Novembre. 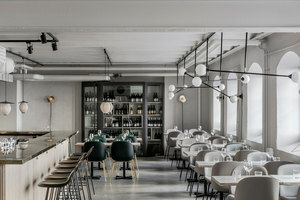 In 2019 the growth project will continue with further openings in London and Milan. 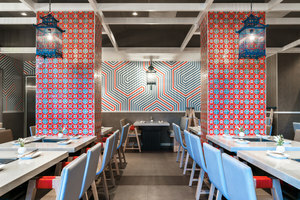 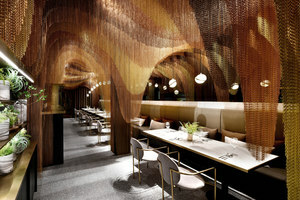 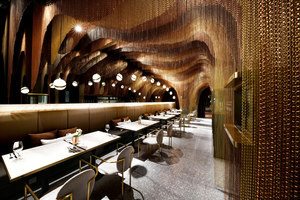 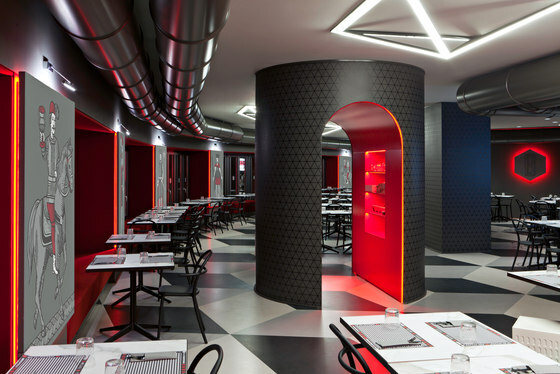 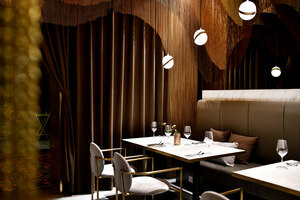 The Novembre firm of architects, playing with shapes in shades of black, white and Bordeaux red, created an ‘underground’ environment in contrast to the mass pizza culture, raising the quality of the premises and conveying knowledge, research and culture in the space as well as in the product. 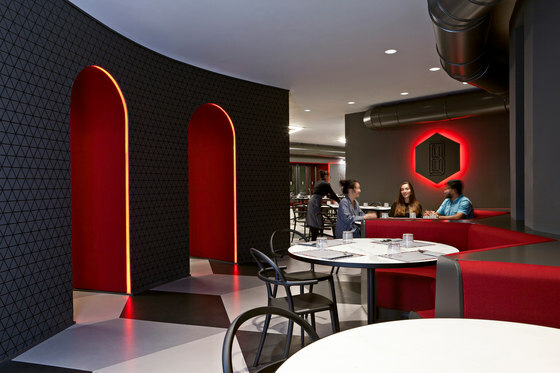 One of the main objectives was the development of a concept with a perfectly recognizable and replicable style on an international scale, inspired by the imagery of clubs and fraternities, in line with the brand’s motto “In pizza we trust”. 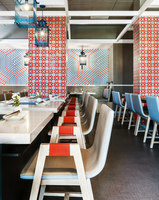 Elements that characterize this exclusive pizza club are the introduction of a floor pattern in grey tones that recalls the retro look of traditional card games (the word briscola is in fact the name of an Italian card game) while on the walls, through a rereading of the iconography of these cards, are full-sized figures reproduced in the colours of the restaurant and backlit with red LEDs. 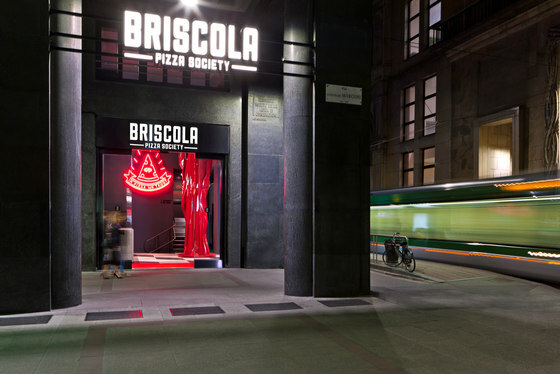 “In designing the Briscola–Pizza Society premises we were inspired by English clubs and university fraternities with the intention of recreating an ‘underground’ space that is absolutely atypical for a pizzeria. 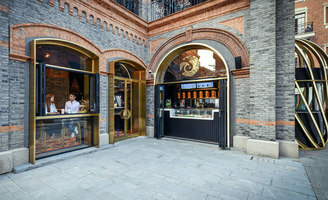 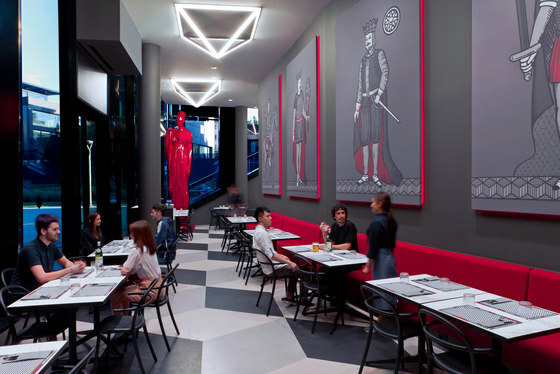 On the walls the outsized briscola figures, like portraits of hypothetical noble ancestors, alternate with red neon features; on the ceiling inverted pyramids of light illuminate the floor which consists of the classic playing card pattern presented in large format,” said Fabio Novembre. 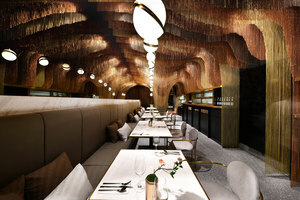 The undisputed star of the various restaurants, which in the Duomo restaurant reaches six metres in height, is the outsized polygonal installation of Queen Margherita who will welcome customers to all the new venues. 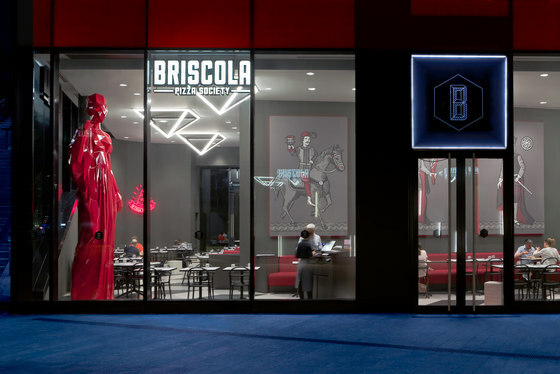 “For this project we have chosen the best of Italian design from all points of view, but the real coup is without doubt the large six metre high polygonal sculpture of Queen Margherita welcoming customers at the entrance of both new premises to confirm outright that at Briscola we eat the Queen’s favourite pizza”, continued Novembre. 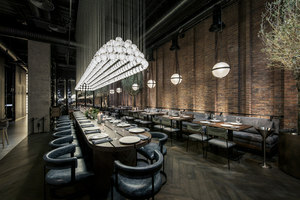 The materials and furnishings chosen, which characterize the whole project, are from leading companies in the design world such as Kartell, Flos, Lea Ceramiche and Hi-Macs to name a few.